W hat is Par-K-Slim Herbal Weightloss??? 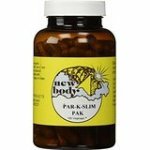 Par-K-Slim Herbal Weightloss product produced by New Body and is a 100% herbal formula which comes in vegicap. Par-K-Slim Herbal Weightloss is perfectly balanced so that good health harmony is restored in your body as you trim away unwanted pounds. 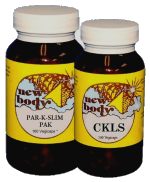 Par-K-Slim is beneficial for obesity, acne, boils, skin problems, constipation, and clensing the kidney spleen, liver and blood.